We offer our satisfaction guarantee for all "lots" purchased from this page - compare our prices and our quality. This webpage is for buyers who want to receive the best possible volume price when ordering wholesale crystals, lapidary rough in bulk quantity, and mineral specimens with bulk quantity discounts. Displayed below on this page are kunzite crystals sold in bulk quantity by the kilogram, aquamarine rough specimens sold with bulk quantity discounts in 30 pound "lots", blue aventurine quartz lapidary rough with bulk quantity discounts, beautiful green fuchsite mica mineral specimens available with bulk quantity discounted prices, natural color blue topaz mineral specimens, purple lepidolite mica with bulk discount prices, rich green peridot crystal specimens, and blue kyanite crystals in quartz matrix with quantity discounts. We have these minerals and crystals available at the lowest possible volume prices. Just scroll down this page to see these beautiful minerals and crystals. Please feel free to contact us for further info. 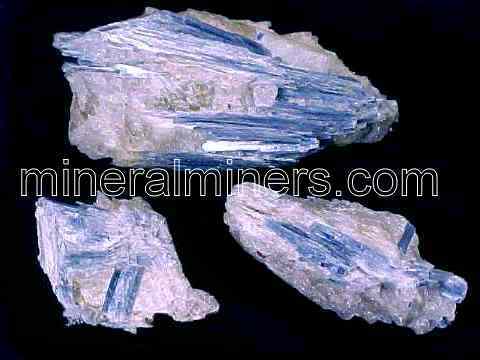 Select any bulk wholesale mineral or crystal image below to enlarge it. These beautiful kunzite specimens are partially terminated kunzite crystals with pale lavender-pink natural color. Some of these kunzite crystals have natural shades of yellow. Each piece is 100% natural - they have not been heated or treated in any way. They were mined in Afghanistan, and they make great specimens of natural gem-grade kunzite just as they are. Each piece has transparent areas inside and could be ground and polished into beautiful lightly included gemstones as well. These natural kunzite pieces are also very popular for metaphysical uses - kunzite is said to help heal "broken hearts", and to also relieve stress and anger! We sell these gem-grade kunzite pieces in bulk priced by the kilogram with a one kilogram minimum order. One kilogram of this material has approximately 60 kunzite crystals, so the average cost for each kunzite crystal is less than $10 each! These superior grade specimens of natural beryl (variety: aquamarine) were mined in Bahia, Brazil. They are translucent to semi-transparent, and their color is a pale blue-green (100% natural color - they have not been heated or treated in any way). These untreated aquamarine pieces are great as inexpensive mineral specimens, and they are perfect for metaphysical purposes as well - aquamarine is said to release anger and negativity replacing them with mental peace and clarity, providing emotional balance. These aquamarine specimens are also said to give courage and to assist in self-expression. We sell these natural aquamarine pieces in bulk, priced by the pound with a 30 pound minimum order. The average size aquamarine piece is about one pound! These aquamarine pieces can easily be broken up into smaller size aquamarine specimens if neccessary. These beautiful peridot specimens are partially terminated small pieces with rich green natural color. Each piece is 100% natural - they have not been heated or treated in any way. They were mined in Pakistan, and they make great specimens of natural gem-grade peridot just as they are. Each piece has transparent areas and could be ground and polished into beautiful lightly included gemstones as well. These natural peridot pieces are also very popular for metaphysical uses - peridot is said to bring healing and vitality to the whole body! We sell these natural peridot pieces in bulk quantity priced by the gram, with a 200 gram minimum order. These natural topaz specimens are partially terminated small pieces with very pale blue natural color! Each of these pale blue topaz specimens is 100% natural and untreated - they have not been heated or treated in any way. They were mined in Minas Gerais, Brazil. They make great specimens of natural gem-grade blue topaz just as they are, although each piece has transparent areas inside and could be ground & polished into beautiful lightly included gemstones as well. They also are very popular today for metaphysical use - topaz is said to be a strong healing and rejuvenating mineral, giving good health and protection against many diseases. Blue topaz is also said to enhance one's communicative abilities, helping to more easily and clearly express oneself. These gem-grade topaz pieces are sold by weight. A 2 gram piece measures about 1/2 inch long, and a 10 gram piece measures about one inch long. We do have larger pieces of this natural blue topaz in stock weighing up to 500 grams which can be included with your bulk order. We sell these natural color blue topaz pieces in bulk, priced by the gram with a 500 gram minimum order. These natural color specimens of blue kyanite in quartz were found in Brazil. They are completely natural with beautiful untreated blue color. We have these natural blue kyanite in quartz matrix specimens available in small to medium sizes that are ideal for metaphysical uses - kyanite is said to be very usefull in broadening one's perspective, and in reaching a better understanding with others. Kyanite is also said to bring calm and tranquility, and to facilitate meditation. These natural blue kyanite in quartz specimens also are perfect for mineral collections. We sell these blue kyanite in quartz matrix specimens in bulk, priced by the pound with a 50 pound minimum order. These beautiful pieces of natural color green fuchsite mica were found in Brazil. They are completely natural with shiny brilliance and amazing bright silvery-green color. They are completely natural and have not been heated or treated in any way. These natural fuchsite mica specimens are rich in chromium which gives them their beautiful green color. These natural color green chromium mica specimens are ideal for metaphysical uses - fuchsite is said to greatly enhance the body's ability to heal itself! These natural fuchsite specimens also are perfect as inexpensive mineral specimens of natural chromium rich muscovite (known to mineralogists as the muscovite variety: fuchsite). 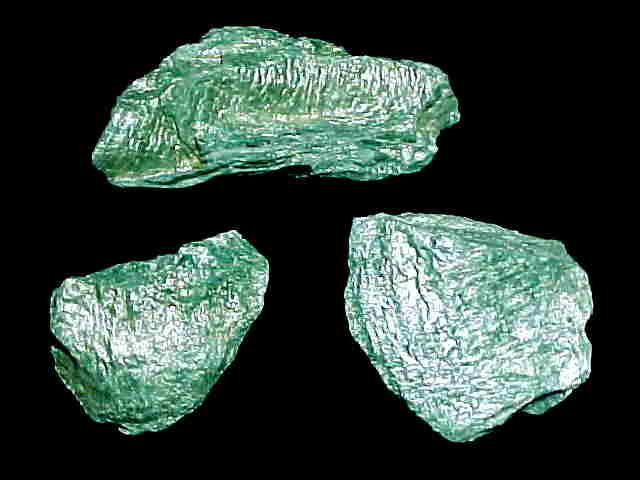 We sell these fuchsite mica specimens in bulk, priced by the pound with a 50 pound minimum order. One of our best sellers! These lithium-rich lepidolite mica pieces have lovely pale lavender to light purple color and a "book-like" or "plate-like" form. They are very popular for metaphysical purposes and also as mineral specimens. 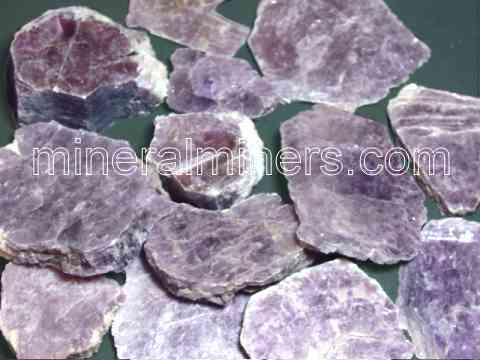 We sell these natural lepidolite mica pieces in bulk by the pound with a 50 pound minimum order. There is an average of approximately 10 pieces per pound. These natural color pieces of blue aventurine quartz lapidary grade rough have a light grayish-blue matrix with intense blue lines that form very interesting and unique patterns. The beautiful colors are best seen when this material is polished, or when wet. In its natural dry state this rough has a light grayish blue color - when wet or polished the beautiful blue colors really stand out! This lapidary grade blue aventurine quartz yields beautiful spheres, slabs, carvings, and cabochon gems. These superior grade lapidary rough pieces also make great mineral specimens of natural color blue aventurine quartz just as they are. This blue aventurine quartz is very popular for metaphysical use - it is said to help release toxins from the body while increasing stamina, and it is said to help bring new opportunities while promoting a general sense of well-being with a positive attitude. Try placing a few pieces in your yard or garden! Our natural blue aventurine quartz is spectacular when placed in a garden or when used in fountains, landscaped waterfalls, pool areas, aquariums, etc... where the beautiful natural blue color is so amazing when these rough pieces get wet! 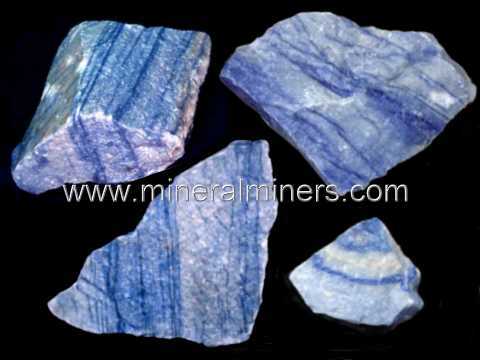 Be sure to contact us by email if you have any questions regarding: natural blue aventurine quartz. Assorted sizes of natural magnetite specimens containing at least 85% massive magnetite with minor accessory minerals. Each of these natural iron ore mineral specimens has such a high concentration of magnetite that a magnet will actually stick to its surface! We have these natural magnetite specimens available for large volume bulk orders in sizes weighing from 1 pound up to 20 pounds each, with a minimum order of 300 pounds. These natural magnetite pieces are ideal for metaphysical uses. They also are great as iron ore mineral specimens and as natural magnetite specimens. They can be broken up into smaller sizes for very inexpensive classroom study samples and scientific use. We also have larger size single magnetite boulders weighing up to 500 pounds each piece! These huge decorator specimens of natural magnetetite are available by special order, simply contact us by email for details. Be sure to contact us by email if you have any questions regarding: natural bulk magnetite iron ore.
Once again, to receive the best possible volume price you can order mineral specimens, lapidary rough, and crystals in bulk from this page. With bulk mineral sales, the material is sold as a "lot" - there is no selection. We have most of these minerals also available by the drum or by the ton! These low priced minerals and crystals are great for re-selling! They also are perfect for inexpensive science classroom study for geology & mineralogy educational purposes. They make wonderful mineral specimens for personal collections as well as being ideal for metaphysical use. Our bulk aquamarine rough specimens are completely natural with pale blue-green color. 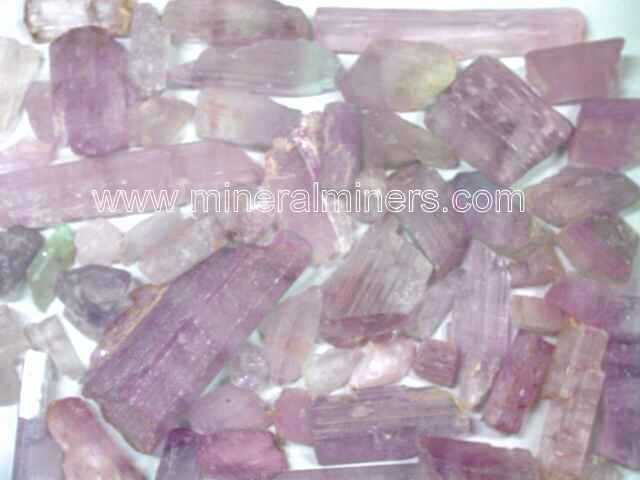 This is the end of our page displaying Wholesale Minerals and Crystals with bulk prices. To see photos of unique items of a particular mineral variety, simply select any mineral name from our Mineral Inventory & Factsheet Index. Would you like us to inform you when we add on this page more natural crystals and mineral specimens with inexpensive bulk pricing? We have over 150 tons of mineral specimens and crystals in stock at our mineral warehouses, so be sure to let us know if you have any bulk priced mineral and crystal requests. These inexpensive minerals and crystals make great additions to mineral collections as well as for metaphysical uses. Please contact our webmaster or our 'site' geologist with any questions or comments.